So, let’s talk makeup brushes and my natural makeup brush cleaner recipe. I’ll admit I didn’t even own a makeup brush until last year. I used to just apply makeup with my fingers because I felt I never wore enough makeup to justify buying fancy tools. My makeup bag literally consists of four items. And also, who doesn’t like finger painting?! Then I bought a makeup brush last year (notice, singular – I’ve not gotten carried away with myself!) and wondered what on earth I’d been doing all these years. It’s so much easier! The thing about makeup brushes is that whilst they do make applying makeup so much easier, they do need regular cleaning to help keep your skin clean and healthy. Without cleaning your brush, you’re just brushing dirt and bacteria around your face, which, let’s face it, isn’t so appealing. 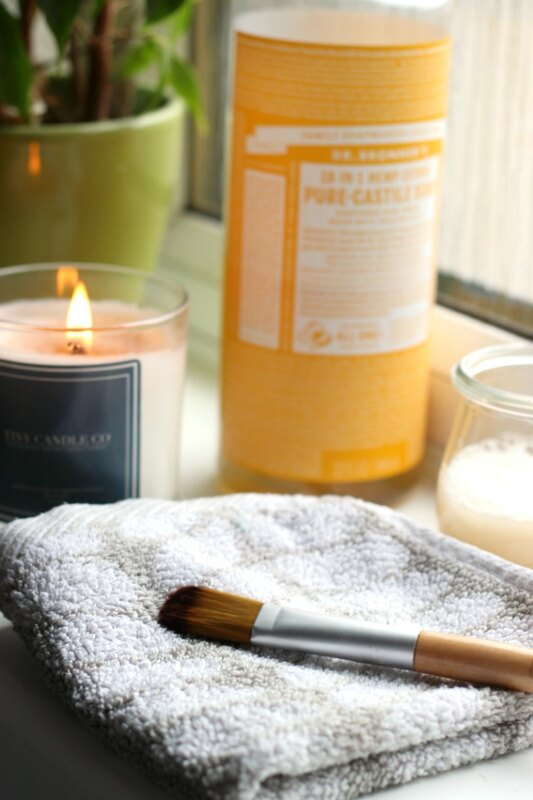 I’ve been trying out a few different methods to make a natural makeup brush cleaner and have decided that this natural makeup brush cleaner recipe is a) by far the simplest and b) by far the best. When it comes to cleaning makeup brushes, no-one wants to be messing about with lots of different ingredients, so I think it’s best to keep it simple. 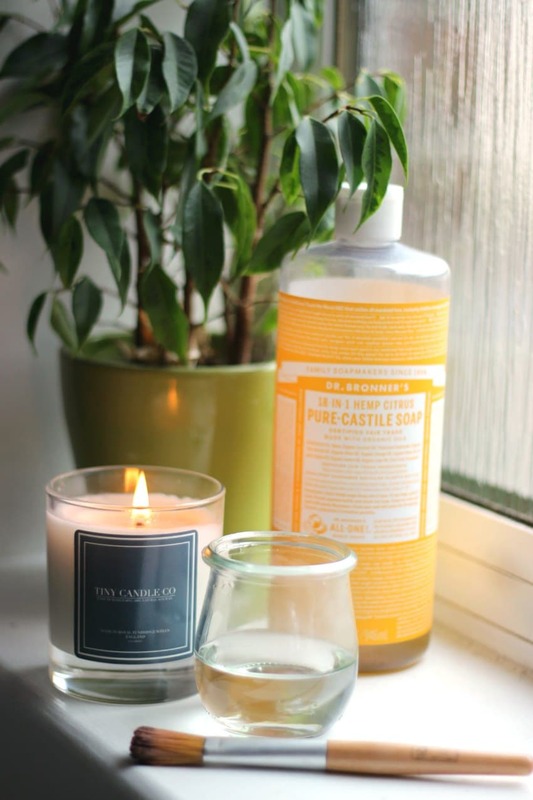 The main ingredient I use in this recipe is Dr Bronner’s liquid castile soap*. 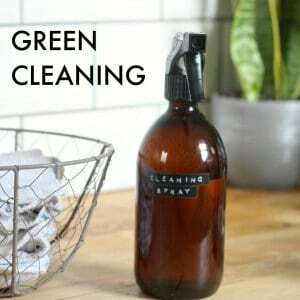 I use this in lots and lots of different ways around my home, and always have a bottle in my bathroom cupboard. It’s a little on the pricier side of things, but you only ever use it diluted, so it does work out at incredibly great value. The thing about Dr Bronner’s is that it’s certified organic and made with only pure plant oils, so there are no nasties in it whatsoever. It’s also incredibly gentle on your best makeup brushes. Add the liquid castile soap to the lukewarm water and stir to combine. It’s important to use lukewarm water as too hot water may melt the glue that holds the bristles of your makeup brush in place. Place the bristles in the soapy solution and swirl a few times to loosen the old makeup. Keep going until the brush looks clean, and then rinse in some clean lukewarm water. If you want to ensure all the soap has been removed dip your brush bristles in a small jar of white vinegar. White vinegar is amazing at cutting through soap, leaving your brush super clean. Once your brush is dry it won’t smell of vinegar, as vinegar dries without an odour – trust me! Whether you rinse your brush in water or vinegar, next you need to mould the brush back into shape, and then leave to dry on a flannel. Viola, naturally clean makeup brushes with very little effort! 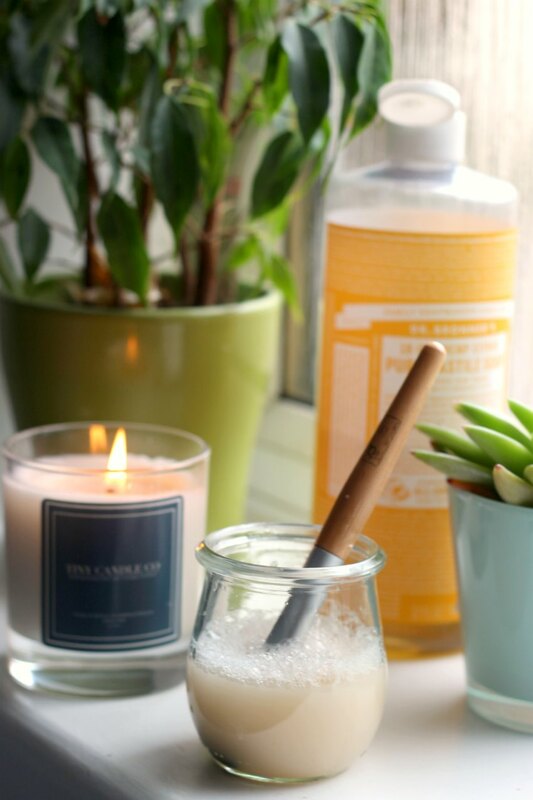 Please note, when using this natural makeup brush cleaner recipe, please don’t leave your brush sitting in water. You only want your brush to be in the soapy water for as long as it takes to clean your brush: it doesn’t need to steep for any length of time, otherwise it may damage the metal and/or wooden components of your makeup brush, shortening it’s lifespan. 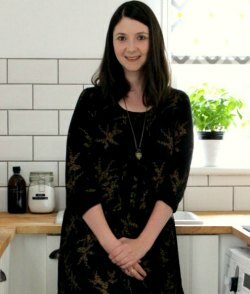 I’ve got a really simple recipe for you today on how to make your own fabric conditioner. You might be wondering why you need to make your own fabric conditioner, when it’s widely available in the shops. And you might think you’re doing a good thing for your clothes when you reach for the fabric conditioner. I don’t blame you. Decades upon decades of marketing have convinced millions of us that fabric conditioner is a vital element of the laundry process, and there’s a whopping $12 billion global market for the product. 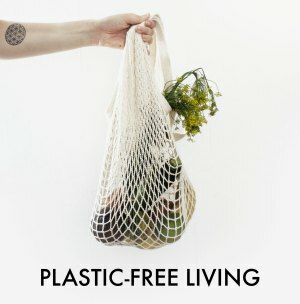 But, I’ve got a little secret for you: you really don’t need to use conventional fabric conditioner, and the eco friendly alternative to fabric conditioner I’m going to share at the end of this post costs just pennies per load but is more effective load per load at softening your clothes. 1. Fabric conditioner is terrible for some of your clothes and towels. Fabric conditioner essentially applies a thin, waxy coating to your laundry, which has to be water-resistant in order to survive the washing process. This waterproof coating makes your clothes feel softer but lessens their ability to properly absorb water and laundry detergent. This means your clothes won’t respond as well to washing and will be more likely to lock in bad odors. The chemical coating can also make your towels less absorbent over time and reduce the performance of sweat-resistant sportswear. Fabric conditioner is also harsh on cotton or bamboo clothing, which normally absorbs light perspiration on its own. As soon as fabric conditioner is introduced, that absorption is lost. When used on clothing containing elastane and nylon (such as leggings, skinny jeans, and bras), fabric conditioner can leave a residue that dulls the item’s finish and attracts odor-causing bacteria. 2. Some conventional brands aren’t vegetarian or vegan. Rather alarmingly, some fabric conditioner aren’t vegetarian- or vegan-friendly. One ingredient found in certain brands is dihydrogenated tallow dimethyl ammonium chloride. In simpler terms: animal fat. This fat is extracted from suet — the fatty tissues around the kidneys of cattle and sheep. Suddenly that bottle sitting in your laundry room doesn’t look quite as innocuous as it did at first. 3. 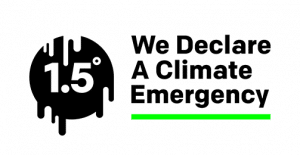 It’s not great for us or the environment. Fabric softeners often contain a cocktail of non renewable petroleum-based chemicals, which are not easily biodegradable. Once these chemicals are washed down the drain they can become highly toxic to aquatic life too. 4. It’s bad for your washing machine and plumbing. As many brands of fabric conditioner are petroleum-based and full of animal fat, they can clog up your washing machine (especially if it’s a front-loading one) and pipes. Fabric conditioner can also encourage the growth of mold in your machine. Due to its fat content, when fabric conditioner is exposed to air and moisture, it becomes a breeding ground for bacteria and mould. And because of the design of most machines, it means that the water resistant softener is never quite washed out properly, leaving a residue that only encourages the growth of bacteria and black mould throughout your whole washing machine. Which does not make for pleasant reading. At the stage when you are adding your laundry detergent to your machine, fill the fabric conditioner compartment of the drawer up to the line with the scented vinegar. For a half load of washing, decrease the amount by half. Using this mixture in place of fabric conditioner will give your laundry a delicate and clean aroma without a hint of vinegar — I promise! If there is still a trace of vinegar on your wet clothes, be assured this will dissipate as the clothes dry. My favorite oils to use for fabric conditioner are lemon and sweet orange for a zingy citrus aroma, but feel free to substitute depending on your preferences. Alternatively, you can skip the oil for a scent-free conditioner. 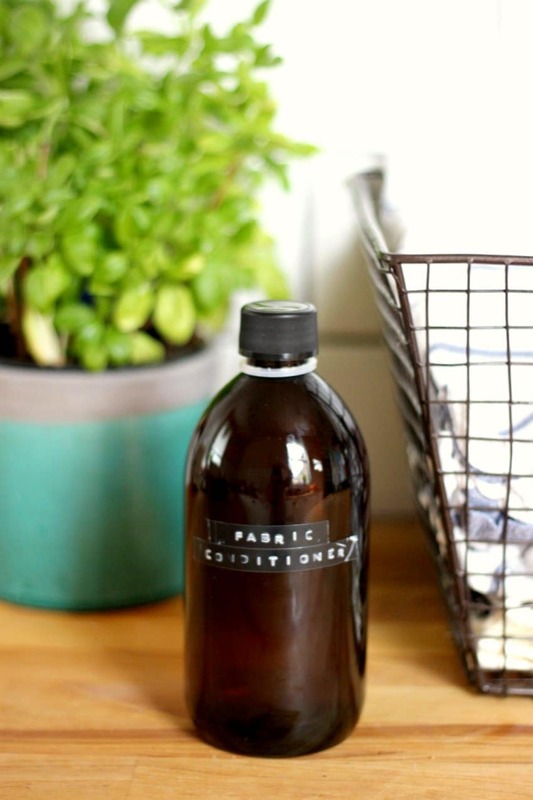 Vinegar makes for a great natural fabric conditioner because it cuts through soapy residue and it won’t interfere with the absorbency of your laundry, making your clothes and towels last longer and smell better. Nor will it leave deposits in your washing machine or plumbing. In fact, vinegar also cuts through grease so you’ll actually clean your machine every time you do a load of laundry. Double win!